This is my go-to weeknight recipe – 30 mins (including cooking) and dinner is on the table! Boom! So easy, yet so delicious and moist, how can you not love a recipe like that? Mix together the dijon mustard and maple syrup in a small bowl. Placed the salmon on a baking sheet lined with tinfoil (makes for no clean-up!!). 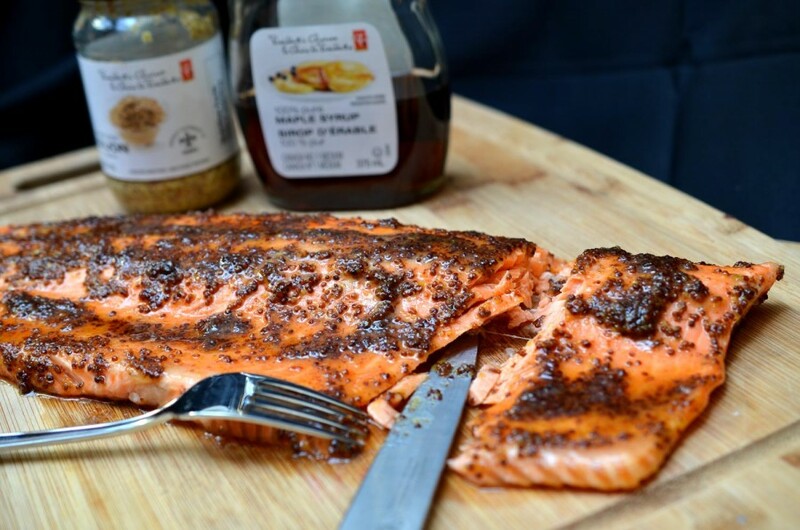 Drizzle the maple mustard mixture over the salmon. Bake for 15-20 mins (or longer depending on thickness) or until the salmon reads 130F. Now this is something special! If you’re going to have salmon, there is no other way!